Buff-Sewn Muslin 6" DIA., 1/2" arbor hole, 3/4" thick. Sewn in spiraling rows 3/8" apart. May be uses in cutting and polishing operations. Buff is 3/4" thick. 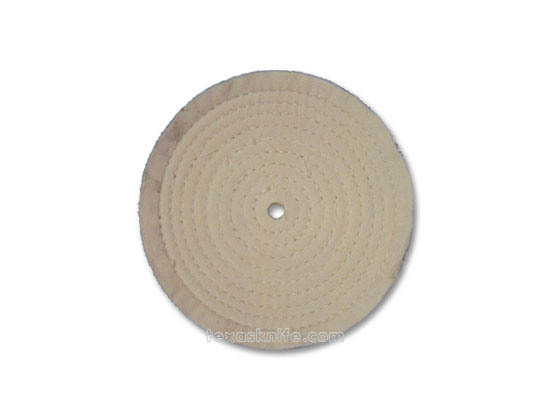 Notify me of updates to Buff-Sewn Muslin 6" DIA., 1/2" arbor hole, 3/4" thick.